Marcus Montgomery, a video game designer, revealed his latest creation; an African American, game-designing Barbie doll in homage to his wife, Lisette Titre, who is also a game designer. 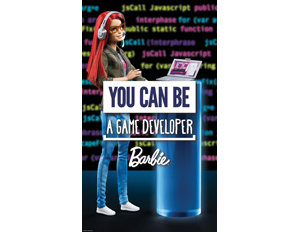 It all started when Mattel announced its new Game Developer Barbie as part of the Barbie Careers doll collection. The toy company went all out with Game Developer Barbie’s details. She’s clad in a hip t-shirt, faded jeans, and cool glasses. She also carries a laptop with real game code graphics, tablet with the game she is working on, and a silver headset. Titre told her husband she wanted the new Barbie. However, she wanted a version with African-American skin tone. Mattel currently only has a white skin-toned version of the Game Developer doll with red hair. As a designer, Montgomery got to work. 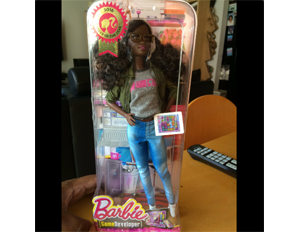 He modified an African American version of Game Developer Barbie for his wife from a Black Fashionista Barbie using the Game Developer doll’s clothes and accessories. 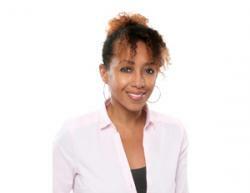 Not one to shy away from diversity issues in tech, Montgomery most recently was lead game designer at Glu Mobile. He is also the founder of WeAreGameDevs.com– a platform for supporting diversity in the gaming industry. Lisette Titre is also a successful veteran in gaming. 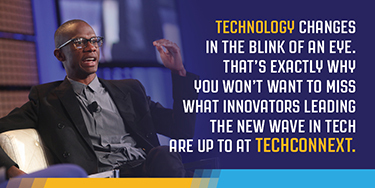 The self-proclaimed “Olivia Pope of gamingâ€ has graced the cover of Black Enterprise magazine and was a panelist at Black Enterprise’s TechConneXt technology summit last year for a session on opportunities in game development. Titre has worked on some notable video games including “Tiger Woods Golf,” “The Simpsons,” “Dante’s Inferno,” “Dance Central 3,” “SIMS 4,” and “Transformers Age Of Extinction” for Android and iOS. She is currently working at Ubisoft San Francisco on South Park‘s next game sequel.